Harry Duran welcomes to the podcast producer, strategist and fellow podcaster, Rich Jones. 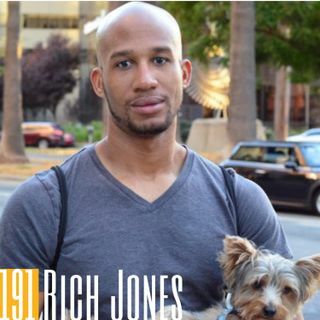 Rich is the host of the Paychecks and Balances Podcast, a show that provides entertaining insights and helpful tips on money management, professional growth, and other topics relevant to 20 and 30-somethings trying to get ahead. In this episode, Rich and Harry discuss the importance of goal setting, networking and having a strong set of values. These have been an integral part of Rich’s success in his ... Más informaciones personal and professional life.